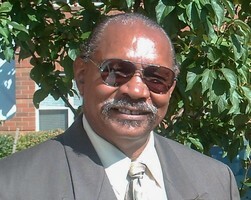 Provide comfort for the family of Willie Auston with a meaningful gesture of sympathy. Willie Hayward Auston was born May 17, 1941 in Andalusia, Alabama to Julius Mactice Auston and Thomas Lillie Auston. He moved to Rochester, New York with his family as a young child. He attended and graduated from Franklin High School. He began a career as a Tool & Die maker at Bausch Lomb. He worked as a mail- man for a short period of time. He then went on to become a Social worker at Immaculate Conception where he helped numerous families get through hard times and difficult situations. He had a passion for helping people. As a Social worker, he was responsible for several children being adopted. He also worked as a high school counselor helping student navigate their future. He later found his way back to the Tool & Die trade until he injured his back. His favorite pastime was fishing, horse racing and copping it up with old friends. He will be truly missed and always remembered. Hayward departed this life on Friday, March 8, 2019. He is preceded in death by his Father Julius Auston, Mother Thomas Lillie Buckner (Auston), Sister Lillie Mae Oliver, Brother Charles Auston. NO PRIOR CALLING. A Private Memorial Service was previously held. To send flowers in memory of Willie H. Auston, please visit our Heartfelt Sympathies Store.